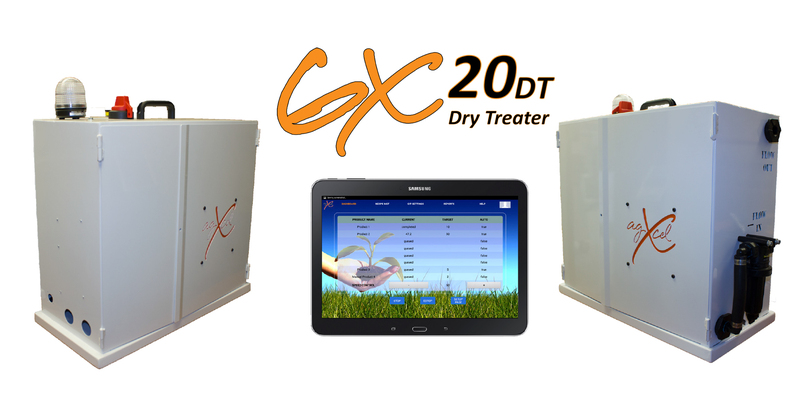 The GX20 app communicates with the Central Control Station via secure Wi-Fi and allows the user to control the application from the dry plant office. Whether your dry plant contains a vertical blender, volumetric (horizontal) blender or Rotary (drum) blender the GX20 can apply the precise application rate and or volume for consistent uniform impregnation to your dry material. 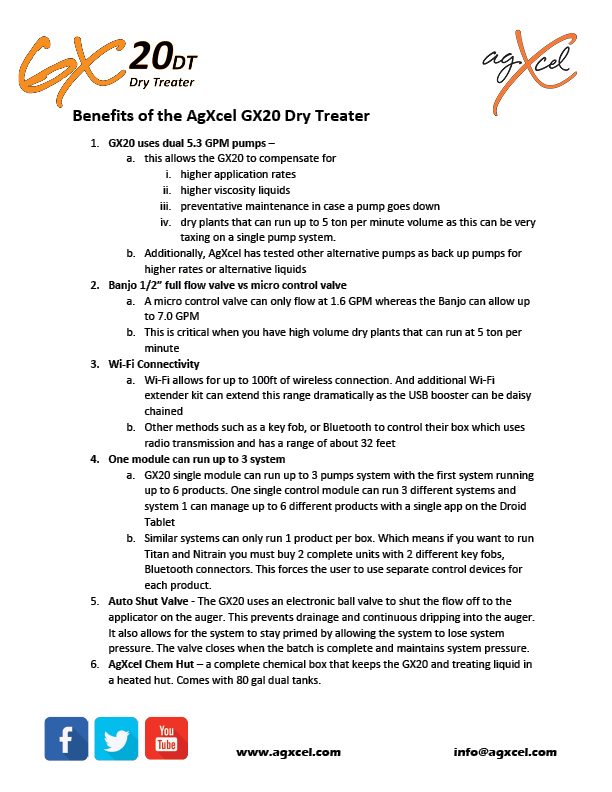 The GX20 also utilizes the AgXcel Mag Meter with no moving parts which allows for the precise measurement of liquid to dry application which allows for uniformity in application. 1. If you are currently using an impregnation ring successfully, there is no need to change the application equipment. However, replacement of the impregnation ring with 2-3 flat fan nozzles at top of the blender is generally recommended for more uniform impregnation. 2. 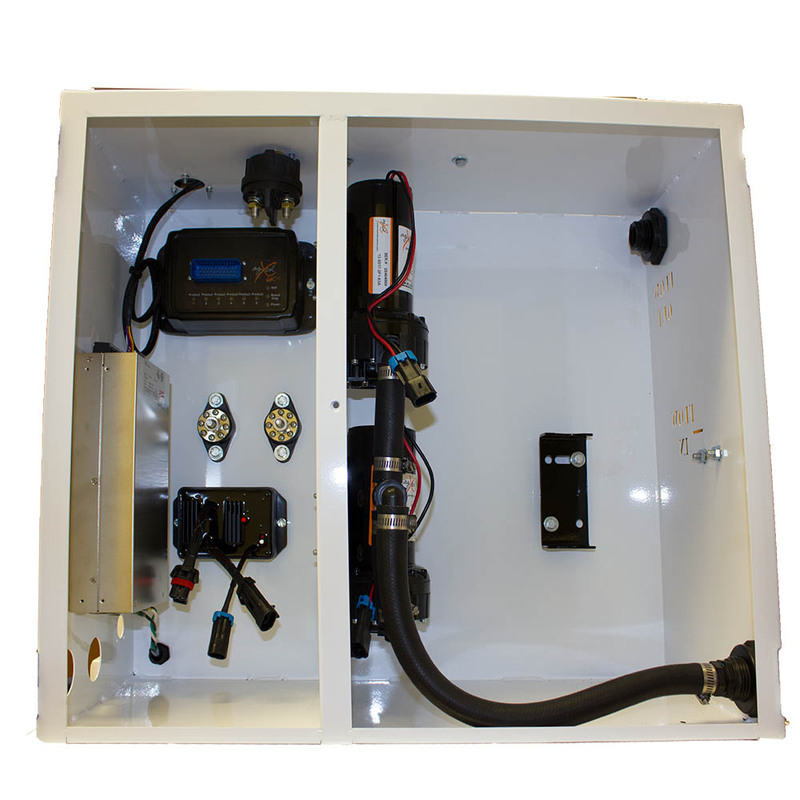 Hook up a tote of impregnating solution to the induction cone and pump meter or the injection unit connected to a horizontal impregnation line. 4. Blend for 5-7 minutes longer than usual to ensure proper coverage and coating of fertilizer prills. 1. Although an impregnation bar can be used, it is recommended to replace the impregnation bar on top of the mixing auger with ﬂat fan nozzles placed 18” to 24” apart for best results. Nozzle location should be as far from the end of the mixing auger as possible to allow more time for blending. 2. 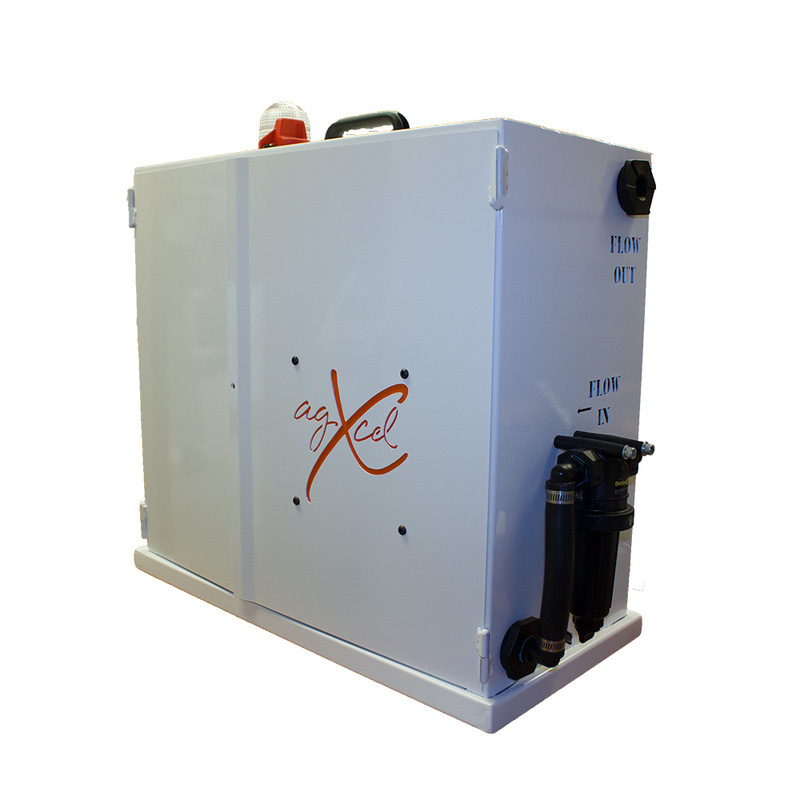 Hook up a tote of impregnation solution to AgXcel’s GX20 Dry Treater injection unit connected to a horizontal impregnation line. replace the bar with 2 nozzles for best results. 1. 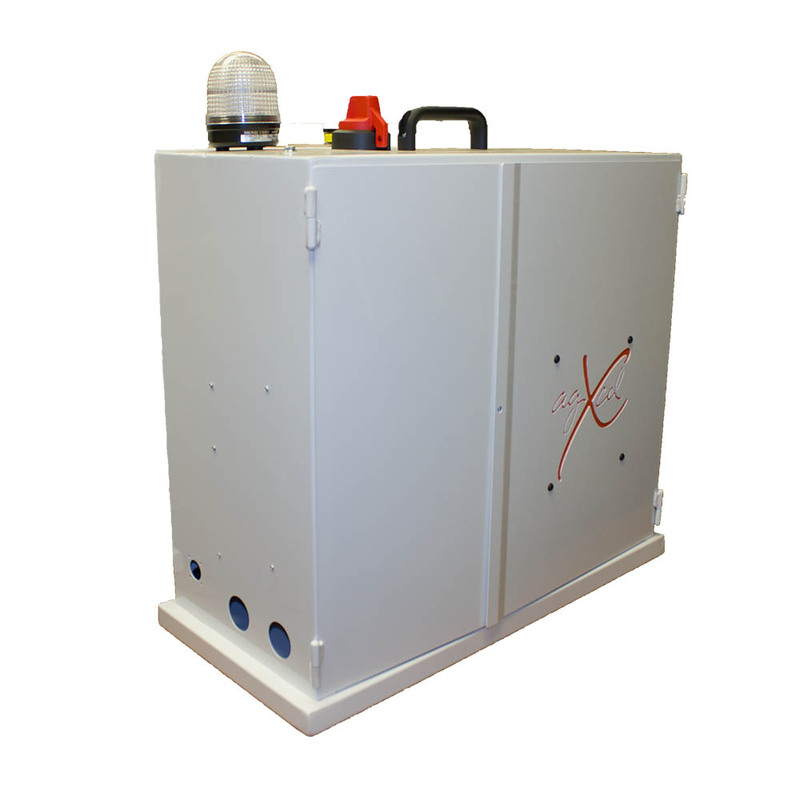 Hook up a tote of impregnation solution to AgXcel’s GX20 Dry Treater injection unit connected to a horizontal impregnation line. 2. At the end of the impregnation line, either place a large flat fan nozzle or reduce down to a ¼” pipe that will shoot impregnation solution straight into the blender. Once the load cell is full of fertilizer, begin the pump. 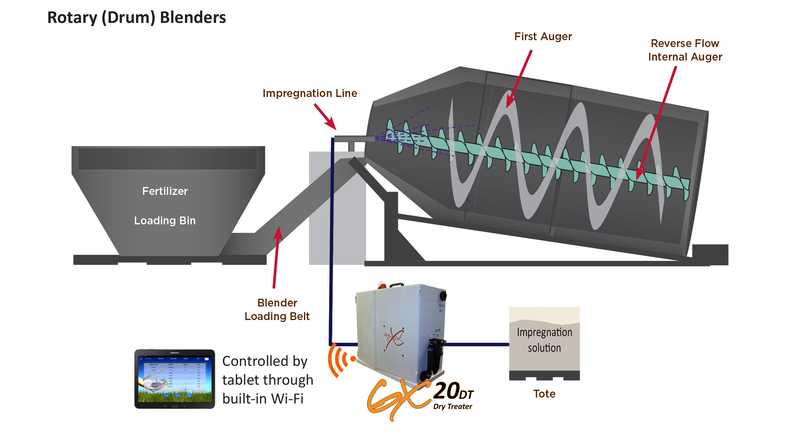 Inject solution into the blender as fertilizer enters from the load cell. 3. Turn on conveyor belt to unload the load cell. Continue to apply solution until the desired number of ounces have been applied to the dry blend. The recommended rate is 16-32 ounces of solution per ton of dry fertilizer. 4. Allow the load to blend for 3-5 minutes, then add any desired sulphur or micro-nutrient packages. 5. Blend for 2-3 additional minutes, whether or not sulphur or micro-nutrients have been added.